Incredibles 2 brought back all our favorite superheroes and introduced some new ones. We rank all the the superheroes from worst to best. Thirteen years ago, The Incredibles introduced us to the Parr family, giving us a deep look at their powers and allowing them to come to terms with what it means to be a family of superheroes. 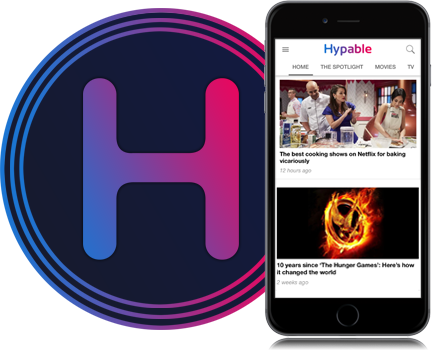 With Incredibles 2, the franchise is beginning to expand its horizons, introducing us to more superheroes in this universe. Take a look at these supers’ strengths and weaknesses and our rank from worst to best. Regardless of rank, we can all agree that these superheroes are stronger together than alone. As a united force, the sum of their skills and powers make for an unstoppable force. 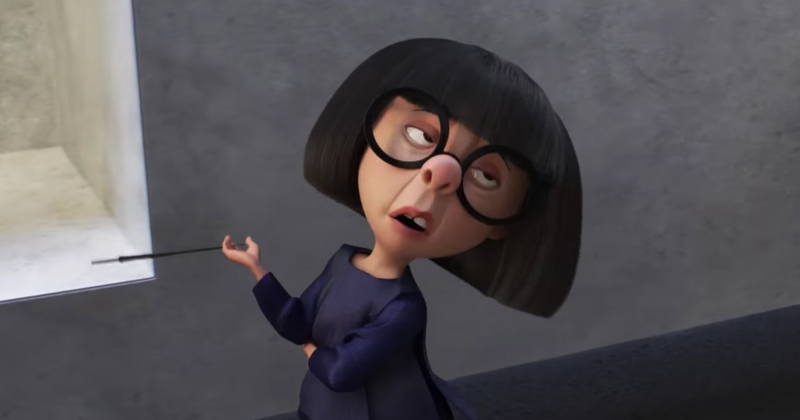 While not technically a superhero, I would be remiss not to mention Edna Mode. She’s a fan favorite, smartly used sparingly in the movie, that delivers yet again. As the designer for the family’s superhero wardrobe, Edna Mode is a crucial figure in the film — creating the very look that will define our favorite superheroes in the eyes of the world. Of course, she’s also just really damn funny. Barely bigger than Jack-Jack and the size of Mr. Incredible’s forearm, Edna is a giant personality stuffed into a tiny body, making her every move a treat to behold. Put simply, this guy barfs lava. It’s pretty cool, it’s just not particularly useful 90% of the time. Sorry, dude. Brick is basically Mr. Incredible, except without a lot of his skill or nuance. Brick is kind of like the Hulk, just…less green. He smashes without much thought behind it. Screech — like his name implies — has the ability to scream so loud he can break glass. This power is cool, but pretty limiting. What’s cooler is that he has owl-like eyes and his head can rotate 360 degrees, making him far less susceptible to surprise attacks or blind spots. However, he can’t do much — especially since his wings are man-made. Listen, there’s nothing wrong with Mr. Incredible. He’s a good de facto leader, even if that that position comes from a rather outdated hierarchical norm that puts men in a position of power. He listens to his wife, frequently letting her call the shots. He’s a good superhero and a great dad, but…he’s pretty boring. He’s super strong, which while it certainly comes in handy, feels fairly elementary when compared to the rest of his family. Like Brick, Krushhauer shares a lot in common with Mr. Incredible except for the fact that he’s got the power of telekinesis. This broadens the range of his skills, making him a greater threat when working against our heroes. Although we don’t see much of He-Lectrix in Incredibles 2, what we do see of him is really impressive. He can shoot lightning bolts from his hands, making him a dangerous enemy or important asset. This skill makes him a threat at both a distance and up close. Unlike some of the supers that can only excel at close range, He-Lectrix serves up greater versatility. Still young and learning important virtues like patience and restraint, Dash is full of potential that could make him a powerful superhero. For now, however, running fast can only get you so far. Similar to his father, Dash’s power is impressive but limiting, preventing him from being a versatile superhero that would rank him higher on this list. While his powers may be limited, he’s overflowing with enough jokes and charm to get him out of sticky situations — even if those situations are of his own making. Frozone is stylish, quick-witted, cool, and…rather ineffective. 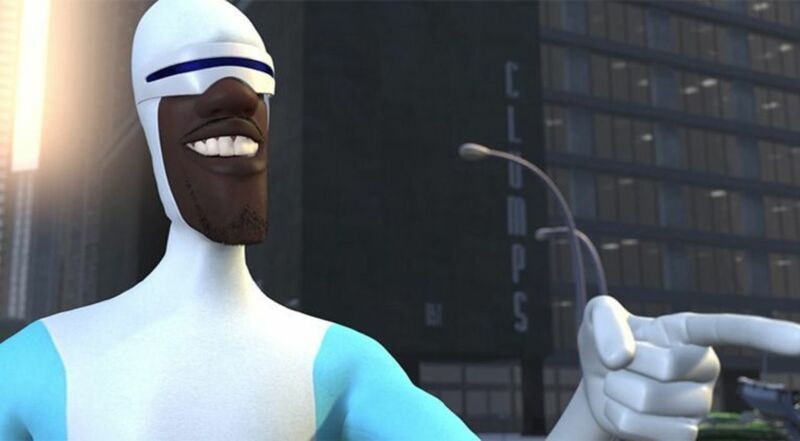 Although Frozone was kept more in the periphery during the first film, we see a lot more of Frozone and his ice-throwing skills in Incredibles 2. The more we see of him, though, the harder it is to ignore how ineffective his power can be. Frozone’s power usually works as a temporary band-aid, rather than a real fix. That said, spoiler alert!, he does play a pivotal role in saving the day at the end of the movie and that’s definitely not nothing. Of all the new superheroes introduced in Incredibles 2, Voyd stands far and above the rest. Her skill — to create voids that transport anything that travels through it somewhere else — is wicked cool, opening up a whole host of new opportunities for the franchise. 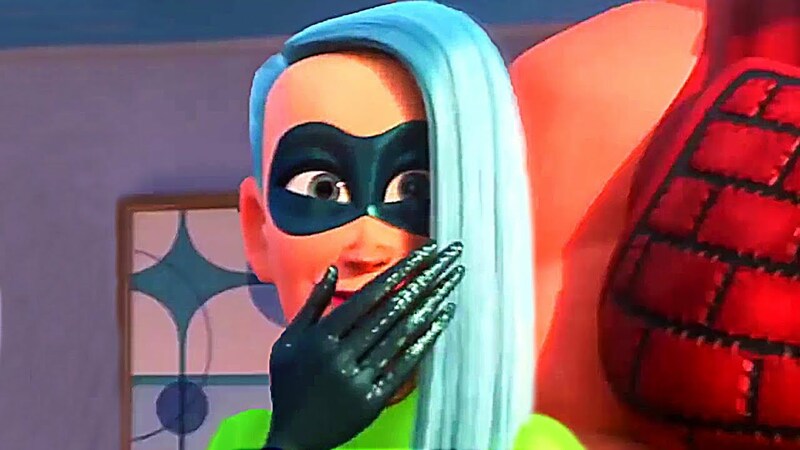 Not only is her power just really cool, she also saves Elastigirl from near death several times. In fact, she is so powerful that I was curious why the movie didn’t use her powers more, especially at the end. (Couldn’t Voyd simply create a hole for the yacht to travel through that would steer it away from the city?) Here is to hoping we see more of Voyd…perhaps in her own spinoff?! Violet, especially in the sequel, feels like the Super with the most potential. She has the ability to create force fields and turn herself invisible. Both of these are incredibly useful skills, especially considering how frequently her family finds themselves in the line of fire. Even more than that, both Incredibles films — although billed as superhero movies — are far more aligned to traditional spy movies. Violet’s skills make her an awesome spy. It would be great to see Violet take on an investigation of her own. Her skill is also very unique, making her an essential super in any fight against evil. 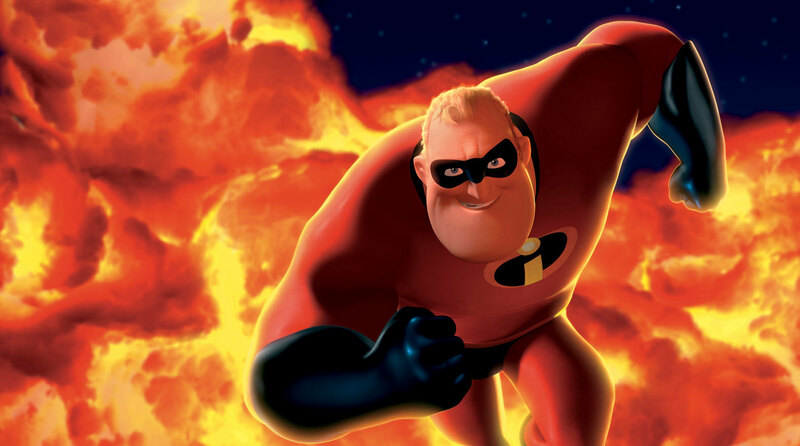 Part of what makes Incredibles 2 such a satisfying sequel is that it shifts the focus from Mr. Incredible to Elastigirl — giving her a moment to shine and putting the narrative in her very capable, very flexible hands. Elastigirl is rather transfixing as a superhero; you just never know what she’s going to do next. Her ability to shift her shape combined with whip-smart, quick-thinking attitude makes her feel like both a wild card and a proficient leader. 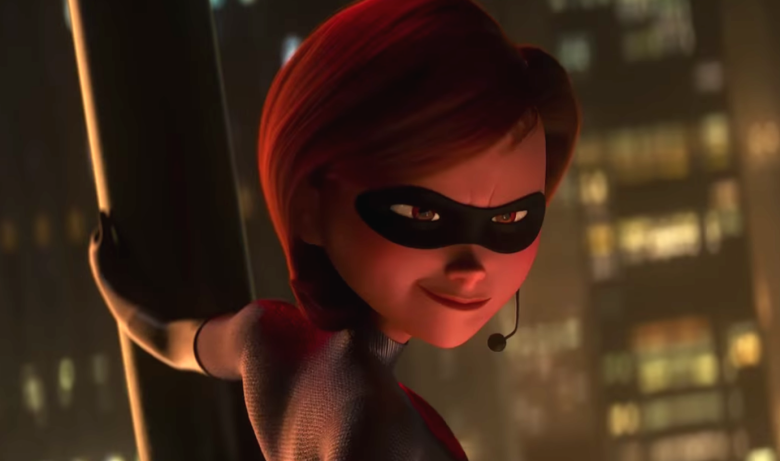 By making her the face of Supers, Incredibles 2 capitalizes on the strength of one of its best characters. Great, or dare I say, incredible things can come in small packages and Jack-Jack is proof of that! The youngest member of the Incredibles family is without a doubt, undeniably, hands down, the best. The sheer number of powers Jack-Jack has is enough to put him at the top of the list, but it’s the way these powers come together to create a character that is so uniquely entertaining. In the 13 years since The Incredibles, dozens of other superhero movies have been released, flooding the market. As a result, a lot of what we see in Incredibles 2 feels like a rehash of things we’ve seen before — but not Jack-Jack. 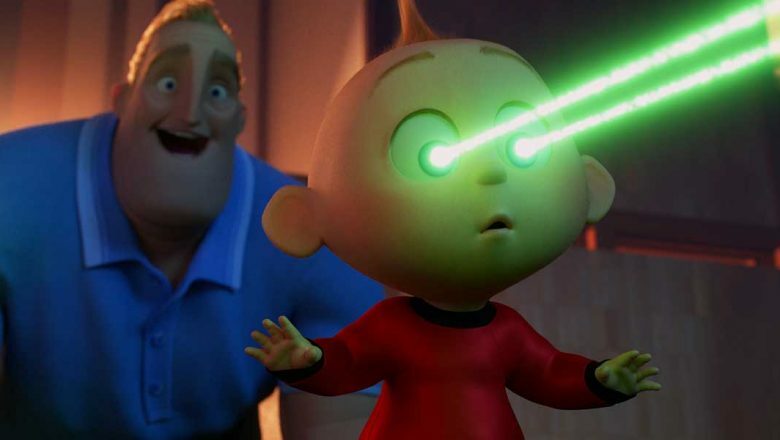 Jack-Jack could only exist in an animated movie — that’s why we haven’t seen a baby superhero in the MCU (and you know they would if they could). The sheer originality of Jack-Jack’s character makes him far and away the best character in the movie. Sure, he’s wildly entertaining and incredibly powerful, but he also epitomizes how the medium — animation — can be used to create something that could only exist in animation.